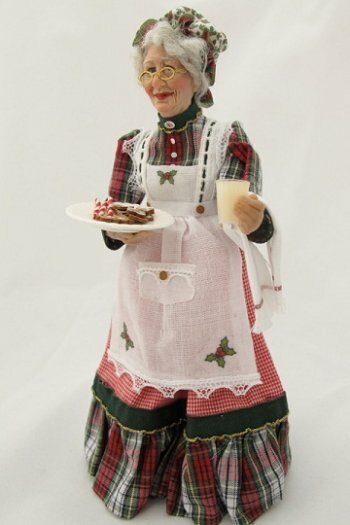 This Mrs. Claus is wonderful............she has such a sweet and realistic face and her clothing is beautiful. She is hand sculpted by the artist and is cast in a durable high quality resin. She is approximately 5 5/8" tall. A great doll for your Christmas Scene!! By The Colvin Studio. This is a SPECIAL ORDER............please email or call to place order and allow 8 weeks for delivery of this doll.